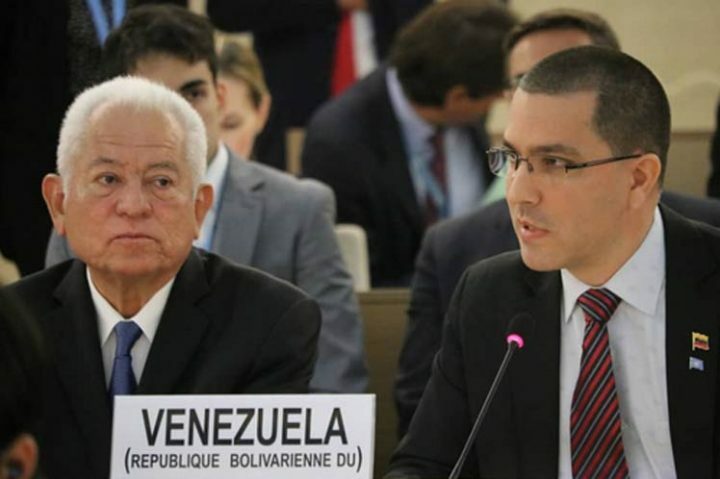 Caracas, Sep 11 (Prensa Latina) Venezuelan Foreign Minister Jorge Arreaza met today with UN Special Rapporteur Idriss Jazairy,as part of his working agenda at the 39th session of the Human Rights Council. During the meeting held in Geneva, Switzerland, Arreaza denounced the economic blockade maintained by the United States and the European Union against national finances, informed the Deputy Minister of Foreign Affairs, William Castillo. The minister reiterated his invitation to the rapporteur to visit the South American nation and thus verify the effects of the economic war on the Venezuelan people, Castillo said in his account on Twitter social network. During the second day of the high-level meeting, the foreign minister shared an agenda with delegates from the African Union to denounce the political and financial siege as well as to dismantle the campaign of a supposed humanitarian crisis against the country. In his address to the UN Human Rights Council, based in Geneva, Switzerland, the minister pointed out the blockade of Venezuelan funds by these powers as one of the main obstacles to access to medicines and food. In spite of the sanctions, the Executive develops a plan of recovery, growth and prosperity that breaks the paradigms of the traditional economy, he added.